I get amazing questions when talking to people about Mind Maps. One of the most amazing and strangest at the same time is: OK, but why would I need that? I get this question – which actually equals to indifference – from people whom I would expect to show more open attitude towards new things – people involved in business. I alone have a business and that’s why the question causes me a little surprise. Let’s look at few basic ones and let’s look at Mind Maps from the businessman point of view. If you are in business and wish to keep good performance you want to organize all the presentations, meetings, management, brainstormings effectively and most of all you need to generate new ideas. How are you going to plan the events? To connect differently thinking people who come with completely different ideas? How are you going to manage teamwork, new strategy, communication, plans? How are you going to use the most of the potential which your employees have deep in their minds? How are you going to plan and execute effective and breathtaking presentations you have to perform at meetings with your customers or business partners? Do you need it all? Sure you do. For that reason you want to learn Mind Mapping. This is the tool you need to get the things done. As a businessman you surely have a moment when you have to make important decisions. Whether you have to set priorities or needs, recognize limits of your business or market, or just simply make a choice between better / worse, more effective / less effective, Mind Maps offer you excellent solution to make your decisions quickly and effectively. How about creativity? Is there a place for uppercase CREATIVITY in your company? If your answer is yes, then you need to generate new ideas, concepts and perspectives on daily bases. And then develop them and work with them. Your employees have inner power of limitless potential. To use it whole – you definitely need Mind Mapping in your company. How about your brain and the brain of your employees? Do you need to keep it healthy, active? Do you need to take care of it? Train it? What kind of employees bring improvement into your company? The ones with average brain performance or the ones who take care of their brain and its performance? Then it is clear – you have to learn them Mind Mapping and use it daily in your company. Do I need to write more? I think it is clear that if you wish to over perform the competition on the market the best investment you can do as a businessman is to learn Mind Mapping and establish it as a most important tool at your company. Interested in Mind Mapping? 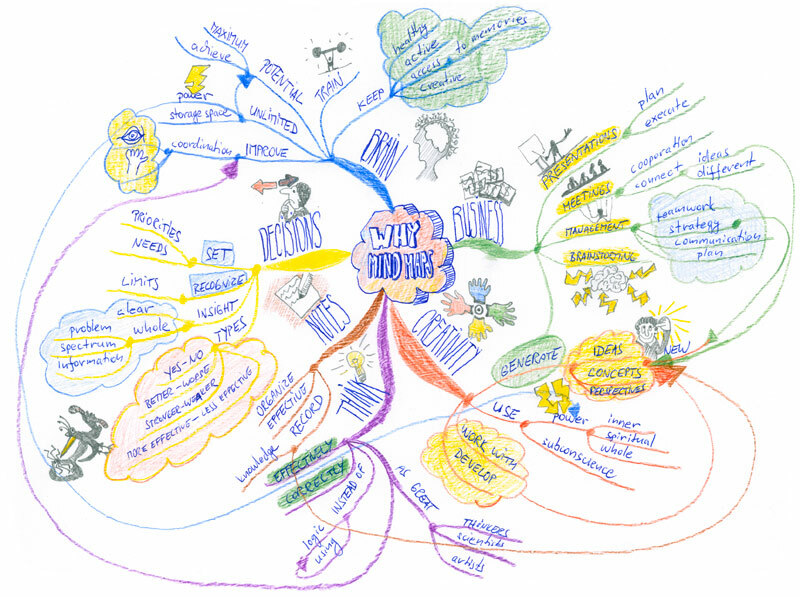 There are even wider scope of possibilities if you use iMindMap software on your computer or iPhone. You can get a FREE trial of iMindMap, the only Mind Mapping software from Tony Buzan, the inventor of Mind Maps.